This is a Movember inspired post to highlight my support and to keep you and your Mo looking fantastic. The Movember South Africa team kindly posted me a copy of the Movember Cookbook “Bring It On Home”. 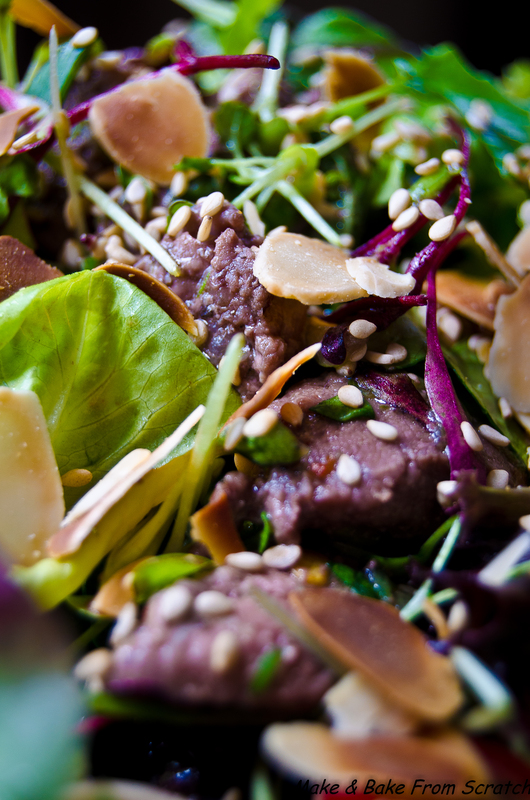 The recipe I prepared is inspired by the Thai Beef Salad from “Diep Le Shaker” Restaurant in Dublin, Ireland by Head Chef Brad Stoward. There have been alterations made to the recipe. Sprinkle salt and pepper on fillet steak. Lightly brush olive oil on the steak and grill for 3 minutes on both sides over a high heat. Remove from heat and allow to cool. Slice the beef into thin slices. Combine all salad dressing ingredients and set aside. Finely chop spring onion and roughly chop mint leaves and mixed salad leaves. Mix all salad ingredients in a large bowl. Chop tomatoes. Place flaked almonds under the grill and toast until golden brown. 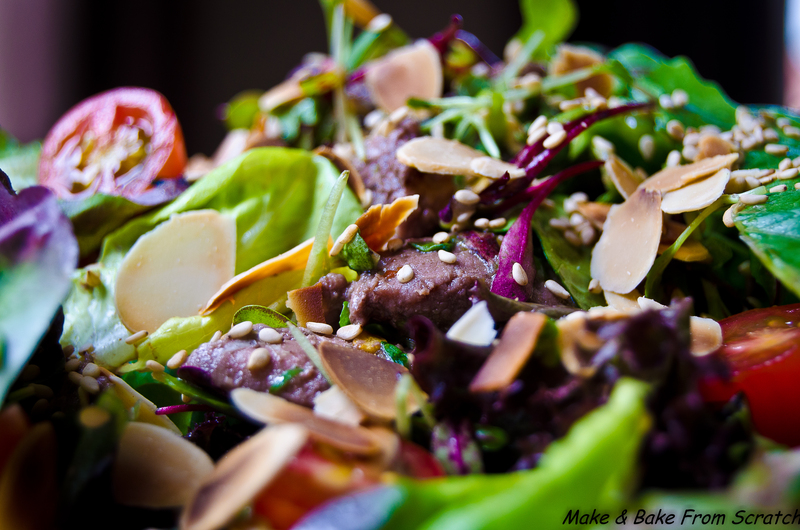 To serve place salad mixture on a plate, add tomatoes and place beef slices on top. 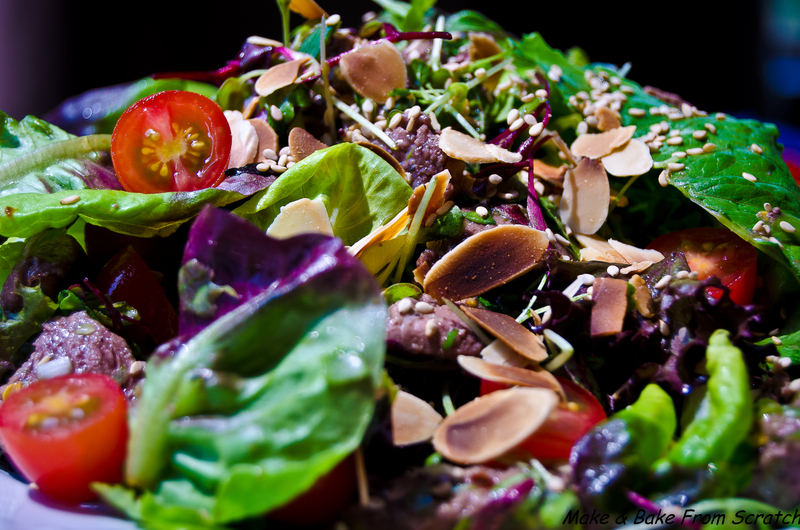 Sprinkle with toasted flaked almonds and sesame seeds. Pour dressing over the salad. Sweet Potatoe Wedges with a Garlic & Coriander Dip. To make the dip use: 1 cup Greek yogurt, 1 tablespoon lemon juice, handful fresh coriander, 1 garlic clove; pop in food processor and blitz until combined. Chill in fridge until ready to serve. Next Spice Up Your Life!